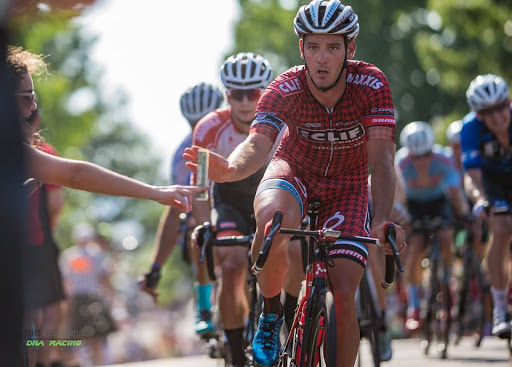 Foco Fondo is a Fort Collins based event company founded by Jake Arnold and Zack Allison in 2016. “We wanted to promote a gravel fondo in Fort Collins, we have amazing roads here that even most locals have never seen” says Zack Allison. After years of training and racing professionally, Jake and Zack have ridden pretty much every road around and the gravel events are underserved in northern Colorado. Bite the Bullet as an old Western theme came from Zack’s love of Western movies, Bite the Bullet being one of his favorites about a famous horse race across the West. FoCo Fondo is committed to keeping its focus on amazing gravel route selection, highlighting Northern Colorado’s beautiful rural roads and local businesses. 2018 marked a huge growth year for the FoCo Fondo, partnering with Bonfire Media for the marketing side of things and with Safe Routes to School as the benefiting program. We look to continue that trajectory and showcase Northern Colorado’s gravel to more riders this year. I Found gravel riding as I kept reaching further and further from the house in Fort Collins. The further you ride out in Colorado the roads get less paved and you get into a rhythm where it’s an adventure and experience not just another ride. I'm currently riding for Team Clif Bar where I get to mix it up on dirt and road. With a Top 10 at DK200 and racing Belgian Waffle Ride in 2017 I feel like I can ride a bike anywhere and I want to share that experience and ability with everyone. I love finding new roads, going flat out and then putting my feet up and drinking a beer at New Belgium Brewery. For me, it all started when I was 12 years old. While riding my road bike, I found this sweet looking fire road near my house in North Carolina. I thought to myself "can I ride my skinny tires on dirt?" As I didn't know any better and it sounded like a challenge, I barreled off the road and into my forever bike adventure, as I ended up lost in the woods hiking. Ever since then, the ability to jump on a bike and take an adventure is what I've enjoyed most about cycling. From that point, as a youngster, I ended up jettisoning up through the ranks of professional cycling. Now that I'm out of the game, I want to be a catalyst to others, to share in some of those life building experiences I've had to this point. That wasn't the first and only time I've been out on bike in the middle of nowhere. Sports have been my life as long as I can remember. My parents were competitive powerlifters and I grew up blissfully ignorant to gender inequality in sport and elsewhere...one of my most mortifying teen memories was from my soccer days and having to teach the high school varsity football team how to do a proper front squat at the request of their coaches! Since then I stumbled into road racing and 2019 marks my 7th year as a professional athlete. I hope through the FoCo Fondo and my other sporting ventures that I can help a broad range of individuals feel empowered to challenge themselves in sport, if for nothing else, their own sense of accomplishment. The human body is incredible- let's celebrate that. Since 2018, a portion of our profits will be going to fund after-school programs and summer programs run by Safe Routes to School. The after-school programs are FREE and the summer programs are offered at a sliding scale making them accessible to kids of all economic levels. Bikes are wonderful for exercise, transportation, AND adventure! Foco Fondo is a Fort Collins based event company founded by Jake Arnold and Zack Allison in 2016. “We wanted to promote a gravel fondo in Fort Collins, we have amazing roads here that even most locals haven’t ever seen” says Zack Allison. After years of training and racing professionally, Jake and Zack have ridden pretty much every road around and the gravel events are underserved in northern Colorado. Bite the Bullet as an old Western theme came from Zack’s love of Western movies, Bite the Bullet being one of his favorites about a famous horse race across the West.